Who didn't love fireballs when they were kids. It was always a challange to see how long you could stand to keep it in your mouth. This is a mixed media piece. 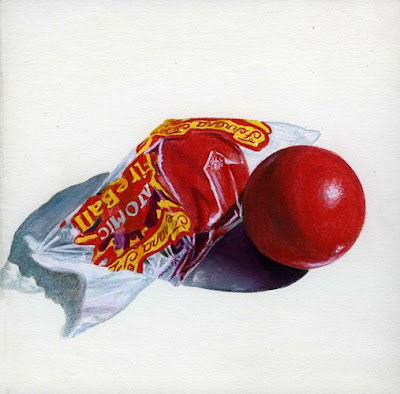 It is color pencils blended with mineral spirits, ink and acrylic and measures 6x6.